I have received a couple of awards. 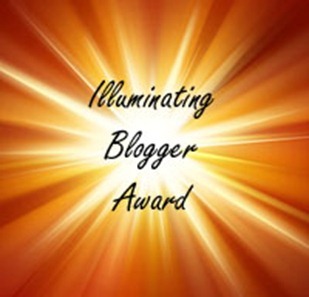 Thank you both so much for the awards and enjoying my blog! 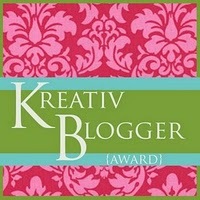 iadoptedadog.wordpress.com gave us our very first award. Please go visit her blog, it’s pretty awesome! It’s one of my fav dog blogs. Link the award to the person that gave it to you. Answer the questions that come with the award. Pass the award along to 10 people and let them know they have received it. My passion: Music. I love music! Favorite day of the week: Friday! Favorite flower: I don’t have one of those either, but I like any that are pretty and smell great! http://www.alongcamerupert.com/ – An awesome mini schnauzer blog! I love it! He’s too cute! http://wickednails.wordpress.com/ – Awesome nail designs and a cute dog! http://adventuresofadogmom.wordpress.com/ – The title alone should make you want to read it! http://fearthebeards.wordpress.com/ – Another awesome schnauzer blog! Great photos! http://dakotasden.wordpress.com/ – Such a cute blog! http://happybarkdays.com/ – About one of the most adorable dogs I ever did see! http://doggysstyle.wordpress.com/ – An adorable dog with interesting posts! http://kittyandpuppytails.com/ – Awesome photos and information! http://awalkintheparkwithdog.wordpress.com/ – For all your doggy needs! Cool items! http://milkathedog.wordpress.com/ – All about a cute rescue poodle! 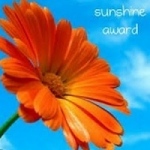 I was nominated for two more awards by themisadventuresofmisaki.wordpress.com Please visit the blog…I like it! She’s a funny dog! Hehe. I really appreciate the awards! Yay! Thank you so much and congrats for your own award. Congratulations on your award! Woof! King Simba is a cutie-patootie!! We are HUGELY grateful though!! Aww ok. You know your blog is good if you got it twice 😉 Thanks for following I will def follow back! congrats you deserved it. who can resist about this cutest smile ever? Psssst…. King Simba! Look here….! Thank you so much for your kind words! Can’t wait to check out the blogs you mentioned! We have a pretty awesome dog blog family going on here @ WordPress, huh? I’ve posted two new blogs 🙂 Yeah, it’s an awesome dog blog family for sure. Congratulations kingsimba. Your award is well deserved. Thanks for passing it along to us!